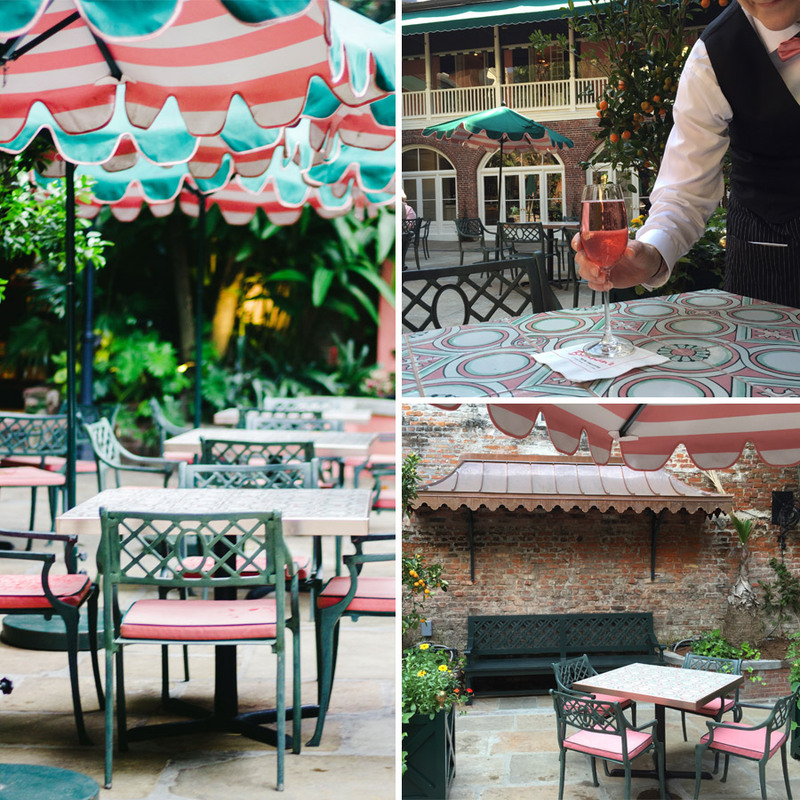 The beautifully preserved open-air courtyard is adjacent to the Chanteclair Room and Roost Bar, with pristine, lush landscaping and a tranquil fountain along the back wall. This outdoor space accommodates 150 guests reception style and is perfect for cocktail receptions and wedding ceremonies, and may be booked in combination with any of the upstairs rooms. 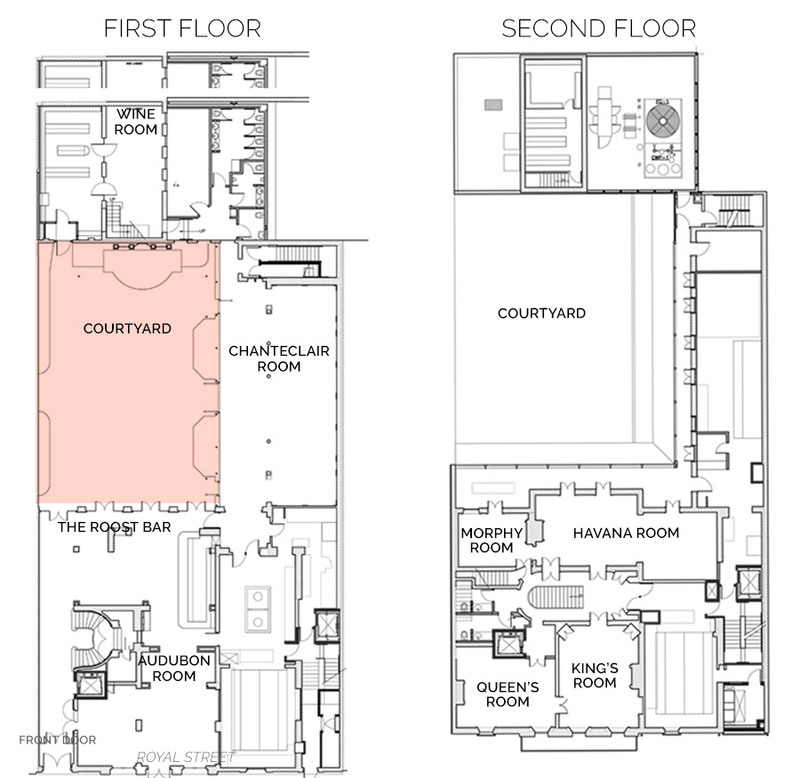 There are options for it to be converted to a dance floor, when needed, or tented during inclement weather.